In this tutorial you will learn how to how to move your personal data (The "Documents" folder) on another partition. Right-click on the "My Document" folder > Properties. Note that: You can make use of an external storage devices too! Confirm (YES) and wait for the files to be transferred. Published by jak58. Latest update on July 16, 2013 at 05:12 AM by jak58. 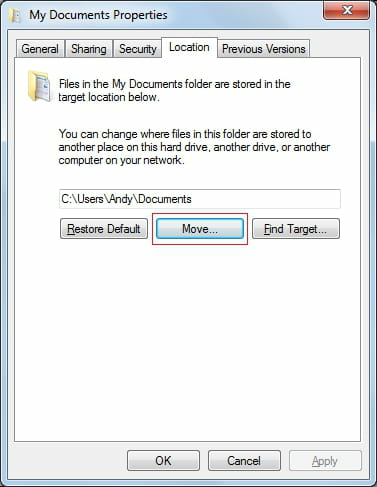 This document, titled "Windows 7 - Move the Documents folder to another partition/drive," is available under the Creative Commons license. Any copy, reuse, or modification of the content should be sufficiently credited to CCM (https://ccm.net/).